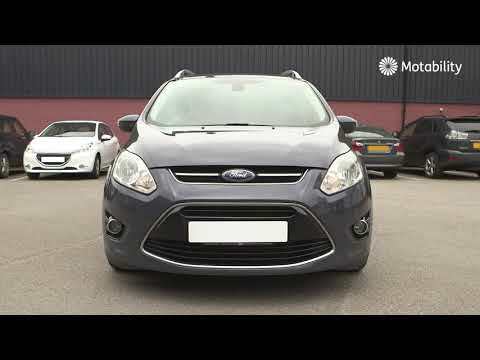 Over 37,000 Motability customers have adaptations fitted to their cars to help make driving or travelling easier or more comfortable. Underwoods can supply and fit driving adaptations to your Vauxhall, Skoda, Mazda or Kia to help improve your driving experience, stowage adaptations which allow you to stow your scooter or wheelchair either in the boot of your Motability car or on the roof with electric controlled hoists and access adaptations which help you get in and out of the car. It is strongly recommended that you work out what type of adaptation you may need before you make your final choice of car, as not all adaptations are suitable for every type of car in the Vauxhall, Skoda, Mazda or Kia range. Speak to your Underwoods Specialist about which cars are most likely to work for you with your chosen adaptations. In most cases the original car’s controls and features can still be used, so your nominated drivers can still drive. However, it’s important to bear in mind that most driving controls require an automatic gearbox. 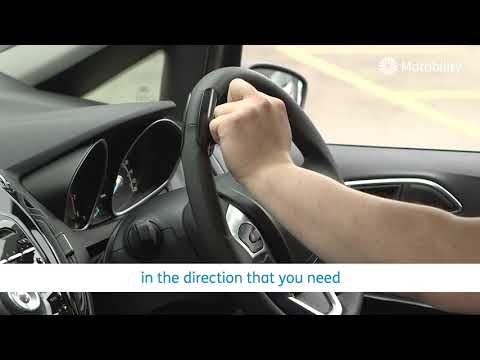 Driving controls help with speed control, steering and signalling. 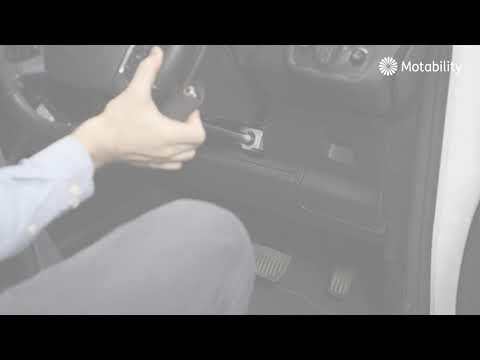 If you have hand controls fitted, a steering ball is often essential, as it enables you to steer the car with one hand, while operating hand controls with the other. Many can be easily attached and removed. This is a hoist which stores your wheelchair or scooter in your car boot. Tie-downs are included as part of the hoist package to help secure your scooter or wheelchair into the boot of your car. 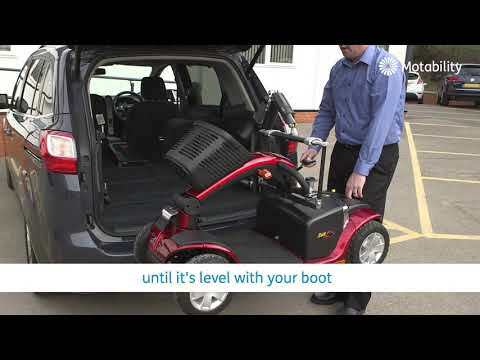 Your wheelchair or scooter will affect the type of boot hoist you need and the space required, so you should take your product to the dealership so they can make sure that the cars you are considering will fit the hoist type you need, as well as your scooter or wheelchair. 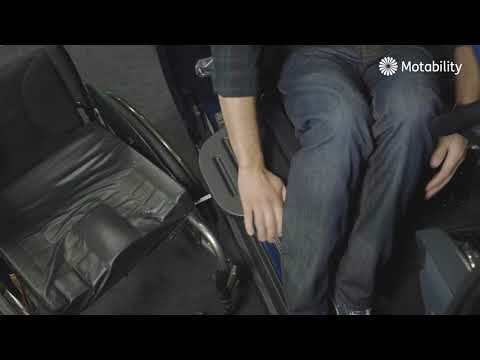 Adding a boot hoist to a car could be an alternative to a Wheelchair Accessible Vehicle (WAV). 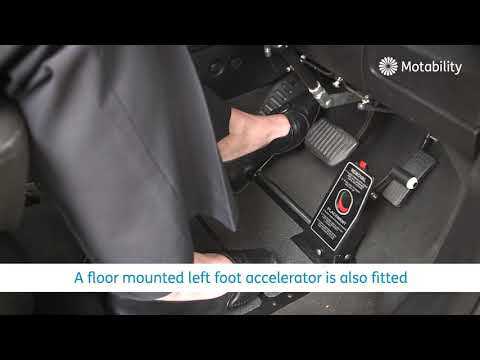 Floor-mounted accelerator - A floor-mounted accelerator is fitted to the left of the brake so that you are able to use your left foot to accelerate. A pedal guard is fitted over the original pedal whilst the new accelerator pedal is being used. Twin-flip accelerator - A twin-flip accelerator is a second pedal fitted to the left of the brake pedal, enabling you to use your left foot to accelerate. The original pedal folds away. In most cases, this can still be used if your nominated driver does not require adaptations. Underwoods Motability Adaptations Swivel SeatSwivel seats offers a solution for people with limited mobility and in many cases can help with transferring from a wheelchair into a vehicle by swivelling the seat out over the sill of your car, for people confined to a wheelchair, moving to and from a vehicle can be a difficult process. Our range of swivel seats are designed to ease this process for you, with the swivel seat mounted in the original seat bolt holes of you car which means there is no damage caused to your vehicle and should you wish to sell the car, the original seat can simply be replaced, our more advanced models are electronically controlled and include additional features such as height control. Some of the options available are; Electrically operated swivel, Leg and Thigh supports, Integral 2,4 or 6 point belts, Adjustable head and neck supports and Lumber support. Remote control devices help make it easier to operate some of your standard car controls, such as the indicators, windscreen wipers and headlights, using a single control panel mounted on the steering wheel. 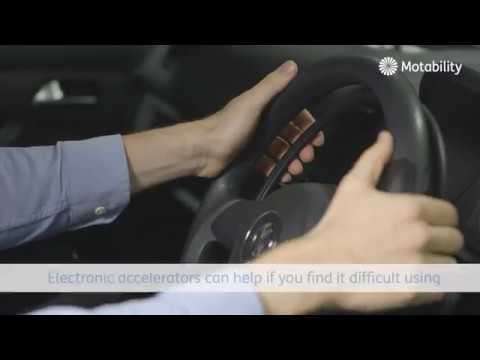 They can also incorporate a steering wheel call so steering and operating basic car functions can be done with one hand.